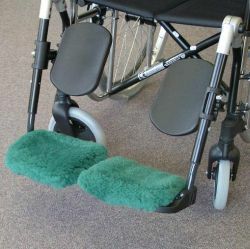 Wheelchairs and Walkers are generally not comfortable and for those who must use them continually, a constant source of aggravation. 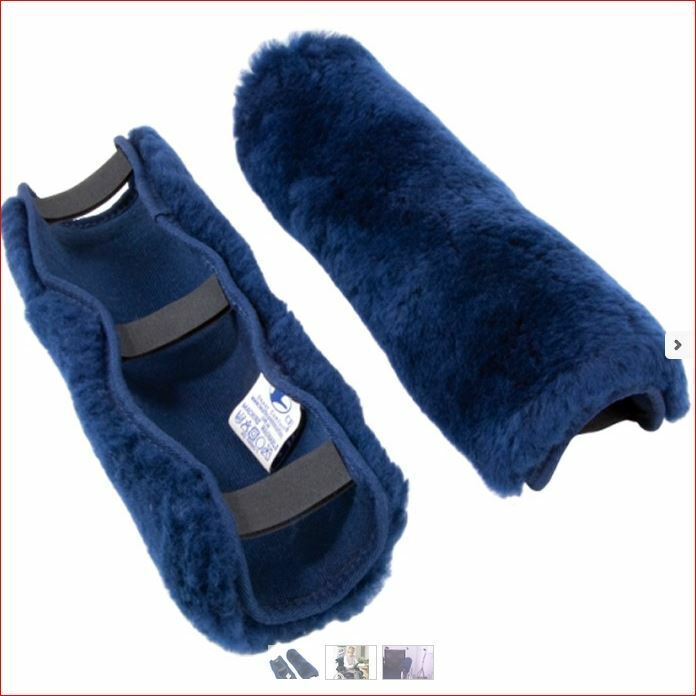 Significantly improved Wheelchair comfort and Pressure Sore Prevention can be achieved with the use of Australian Medical Sheepskin and Pressure Smart XD1900 and Nursing Fleece products. 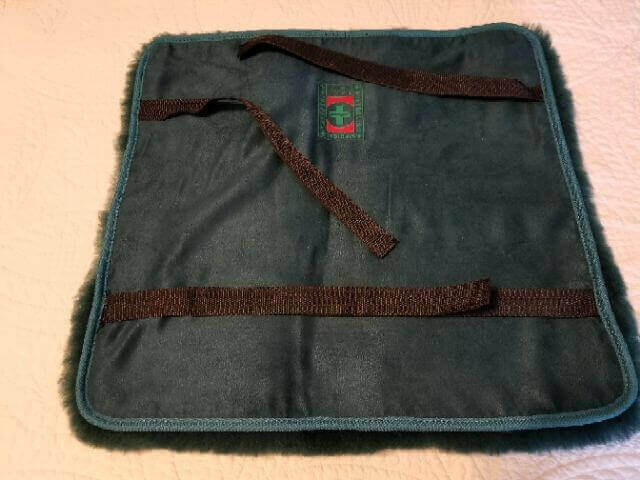 Being comfortable and protected against the development of pressure sores while confined to a wheelchair is a challenge for all. 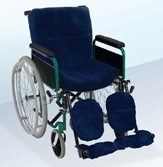 Pressure Smart XD1900 Wheelchair Pads will add comfort and prevent pressure sores. Pressure points (●) develop in many places while sitting in a wheelchair (see left) Pressure reduction at these points will help to prevent pressure sores. Pressure Smart XD1900 products will not only reduce pressure at these points, they will also reduce skin moisture and shear. Pressure sores often develop as a result of skin friction and frequently the skin will tear when the person moves. 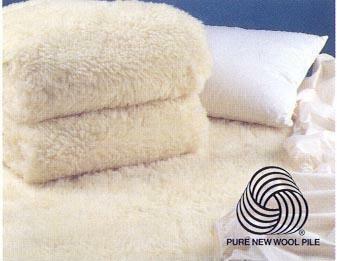 Australian Medical Sheepskins and Pressure Smart XD products wick perspiration away from the skin, making it less likely to tear and develop into a sore.